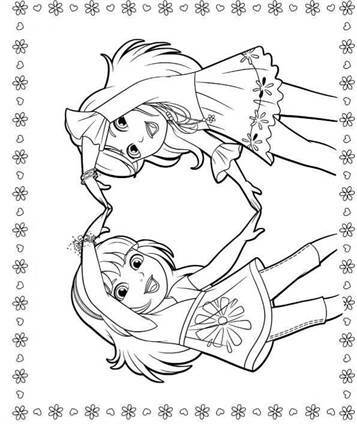 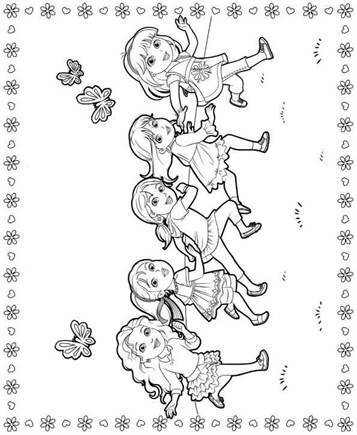 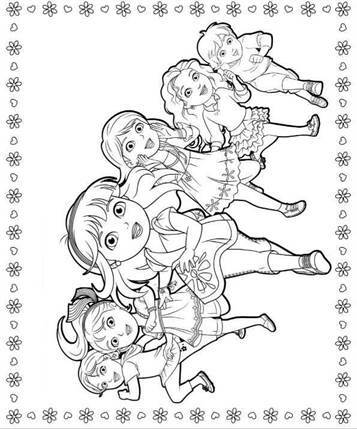 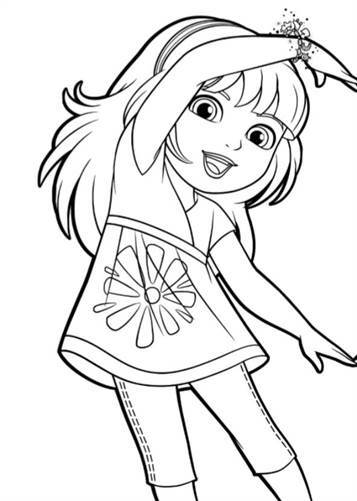 Coloring pages of Dora and Friends. 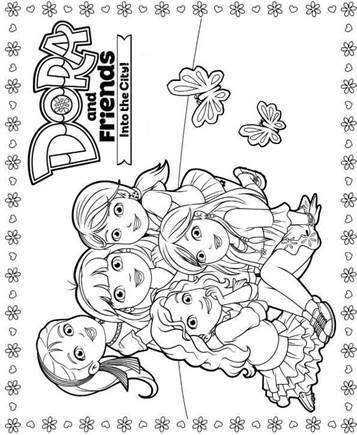 Small children grow up, so is Dora. 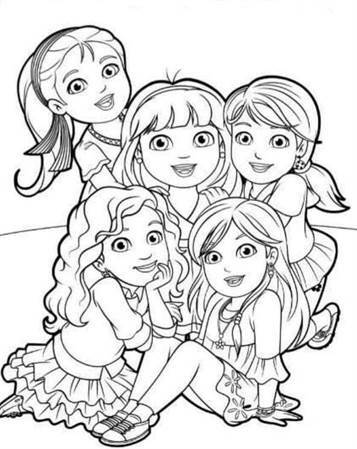 Dora has a magic bracelet and together with her friends Alana, Emma, Naiya, Kate, and Pablo, they experience exciting adventures. 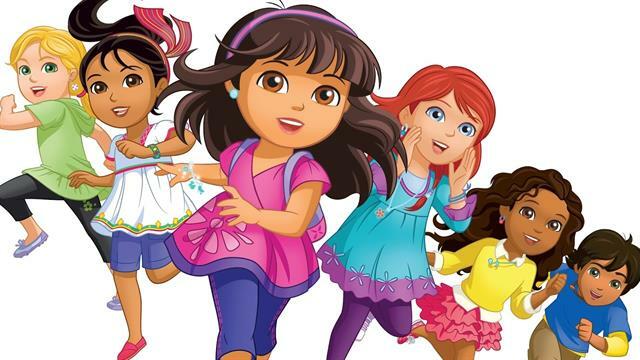 Dora has moved to a beautiful city by the sea, she is in a new school and she's more busy than ever.